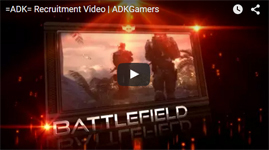 This goal is for the ALL Battlefield Servers and Admin Layers which are required for our Admin Control Panel. $926.59 of $750.00 goal reached. I'm KingAl72. Please DON'T let Caveman ban me. I don't think I'll be able to cope.